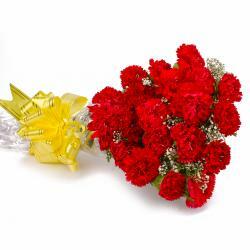 Product Consist : Six Stem of Red Color Gerberas with green fillers in Cellophane Wrapping with Ribbon Bow on it. 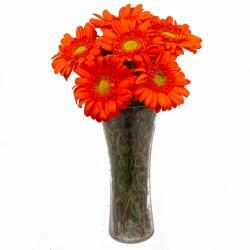 When it comes to flowers for gifting purposes, Gerberas are definitely the best bet instead of roses. These amazing flowers are certainly must haves for all your gifting needs. 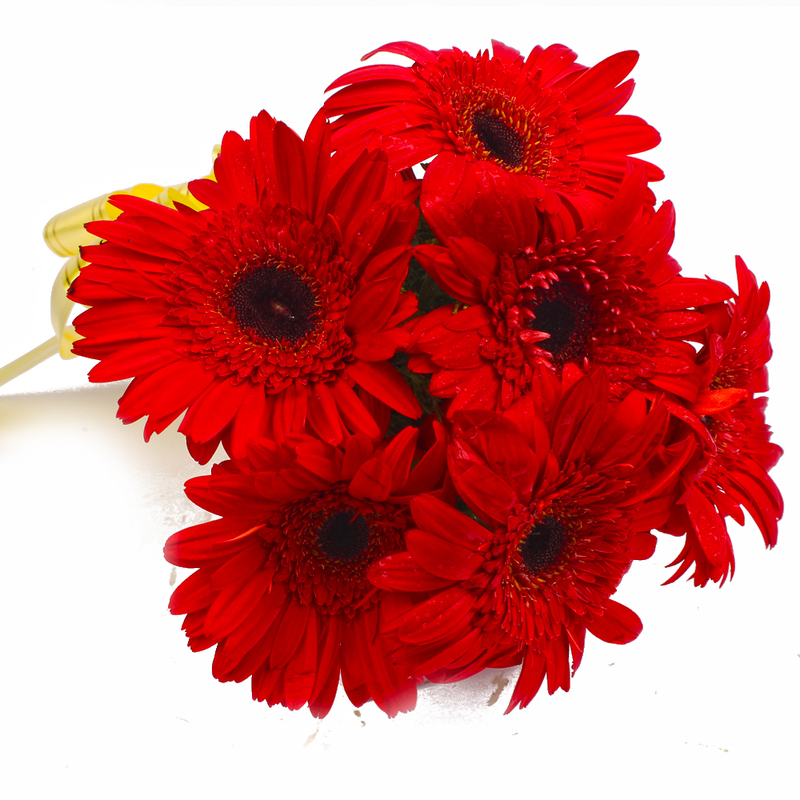 This gift pack will be a handy acquisition for you and contains six stem of Red Gerberas in a bunch. 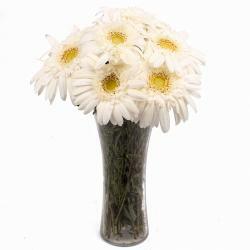 These Gerberas are neatly and beautifully packed in cellophane coupled with a matching ribbon bow for company. The bow looks cute and elegant in equal measure. This gift pack is a must have for occasions like Birthday, Anniversary, Best of Luck, Durga Puja, Womens Day and even Diwali among others. 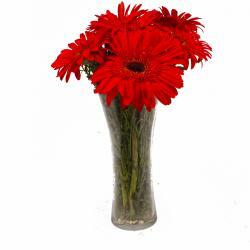 Product contains : 6 Stem of Red Color Gerberas with green fillers in Cellophane Wrapping with Ribbon Bow on it.